Your students are more inclined to complete course evaluations if they know that the results will be available to them. In addition to providing you with valuable feedback, course evaluation results can be helpful for students when they are deciding which courses to take. View deadlines and instructions to register a permission decision in MERCURY. Written comments are always treated as confidential and are never disseminated. (See policy). For courses with multiple instructors, all instructors assigned to the course must not object to access for course evaluation results to be disseminated to students. As of the Fall 2017 term, instructors can make permission decisions on a term-by-term basis rather than by academic year. A benefit of this change is that it allows students to view Fall term results when registering for courses for the upcoming academic year. If you do not register a decision by the deadline, the numerical portion of all your course evaluation results from the current term will be disseminated to students provided that an adequate response rate has been received. Permission decisions cannot be changed for previous terms once a deadline has passed. 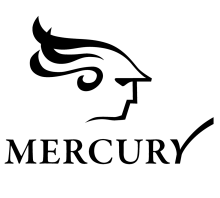 Log in to MERCURY for Instructors. Scroll to the bottom of the page to view the section: Grant/Deny Permission to Disseminate Course Evaluation Results. Minerva will inform you if you have made a permission decision in the past. If you have not made a decision or if you wish to change your previous decision, select the Click here to continue button. Grant permission: The numerical portion of all your course evaluation results will be disseminated to students. This decision carries over to future terms. You may change your decision in the next term according to the deadlines. Course-by-course option: The numerical portion of all of your course evaluation results will be disseminated to students except for any courses you choose to exclude. Exclusions do not carry over to future terms. Deny permission: The numerical portion of all your course evaluation results will not be disseminated to students. This decision carries over to future terms. You may change your decision in the next term according to the deadlines. If you register a decision, you can change it within seven days, or by the deadline, whichever is earlier. You may reconsider your decision in the following term. 63% of instructors have granted permission for their results to be made available. 6% have accessed the form but did not indicate a preference. If I do not need to fill out the permission form to have my results available to students, why should I take the time to fill it out? By actively providing consent to make your course evaluation results available to students, you let the University know that you are aware of the Course Evaluations Policy. This allows us to assess the effectiveness of our communications strategies. It also improves our ability to report on the number of instructors who have granted and denied permission. Click HERE to grant/deny permission. Click HERE to view disseminated results.